Working for an association management company (AMC) is an odd way to make a living. I know—I spent a good part of my adult life working for AMCs. When you get asked what you do for a living, you have to choose a simple answer (I’m a consultant) or a host of words that usually have no meaning to anyone other than an association professional (I work for a for-profit company that manages nonprofit trade associations). Despite its almost indescribable nature, working for an AMC is great. You meet interesting people and learn a lot about industries you didn’t even know existed. I used to tell my wife that working for AMCs is the perfect training for an appearance on Jeopardy! In my various stints as staff and a consultant with different AMCs, I’ve seen companies that are really profitable—and AMCs that are just barely hanging on. Here’s what I’ve learned when it comes to profitably managing an AMC. There are two types of AMCs. Some manage any association that will pay them a fee, and others specialize in one industry or sector. Assuming you don’t own one of the really large AMCs, the best way that I’ve seen for small or mid-sized AMCs to be profitable is to specialize. The most profitable AMC I’ve ever worked with as a consultant or employee was a small company that focused exclusively on manufacturing-related associations. That familiarity with a specific sector meant that the AMC developed industry expertise, which made it easier to create profitable programs, develop compelling marketing campaigns, and deploy staff across multiple associations. Specialization might make for a smaller AMC, but it will also increase your profitability. 2. Focus on client retention. A lot of small AMCs try and gobble up as many clients as possible, throwing out a response to every RFP they see. I’ve seen more than one instance where the AMC owner even had family members pose as staff during a potential client site visit. Of course, while some AMCs are family businesses (I worked for one great AMC that was run by a father and son), the spouses in question in the companies referenced above were not a part of the staff. In both instances the AMC got the client, and struggled to keep up with the new workload. Service to all the company’s clients suffered. Focus on building the best possible relationship with current clients, and pursue strategic growth rather than growth for its own sake. 3. Leverage technology to decrease expenses and redirect staff toward value-added duties. When you own an AMC, you aren’t producing widgets in a factory. Your main expenses are people and time. It’s important to have your people and their time directed toward the best possible use, like developing programs and coming up with ideas that keep your client associations profitable, growing, and getting their management services from your AMC. That’s why a tool like BoardPaq is a great solution for an AMC. 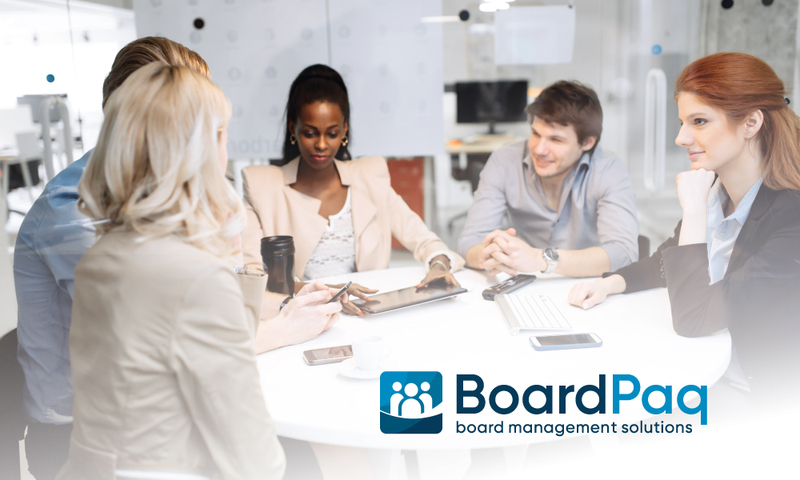 The board portal of choice for more than 70 associations, BoardPaq reduces the amount of time you and your staff spend preparing for board and committee meetings. Already the most cost-effective board portal serving associations, BoardPaq will work with your AMC to create a multi-client pricing structure that’s right for your company. Specialize, focus on client retention, and leverage technology. Follow those steps, and your AMC will be more profitable than ever.